Rick Frost is a fan of controversy. Well, not any controversy—tax controversy, to be exact. “Negotiating a win-win settlement that benefits the company and creates a platform for future success is very satisfying,” Frost says. 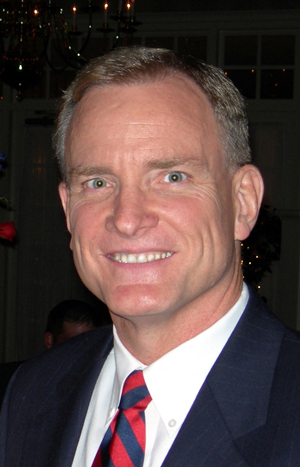 Frost, currently vice president, tax, at Prudential Financial Inc., first became interested in tax issues when he worked at Arthur Young & Company in New York City as a college intern. “I wanted an audit internship, but the only internship available was in tax. I quickly discovered that tax offered far more opportunity to help our clients save money,” he explains. Frost appreciates his time at Arthur Young and Capital Cities/ABC, but is very happy he wound up at his current place of employment. “Prudential’s reorganization and conversion from a mutual to a stock company was a once-in-a-lifetime event. The range and complexity of the issues were exceeded only by the magnitude of the dollars involved,” Frost notes. “I am frequently amazed at the number of potential issues and solutions that can arise from what initially looks like a straightforward issue,” Frost notes, perhaps echoing the thoughts of many TEI members. TEI helped Frost professionally far more than he expected. “It dramatically expanded my network within the tax community, and it allowed me to work with and get to know senior IRS executives, which, in turn, helped produce some unexpected and significant wins for both my company and all CAP [compliance assurance process] taxpayers,” he says. When Frost is not immersed in intriguing tax controversies, he and his wife like to travel with their sons and daughters-in-law. “As retirement nears, we’re looking forward to living closer to our family and spending more time exploring our beautiful country,” Frost says. An important part of Frost’s life that many TEI members might not know about involves his church activities. “One of the great joys in my life has been working with the fifth- and sixth-grade boys in our church. Helping young men find their way in life and building lifelong friendships has been an incredible blessing. I am very thankful to the Christian education director who ignored my protestations and pushed me into it. It’s been life-changing for me,” he says.